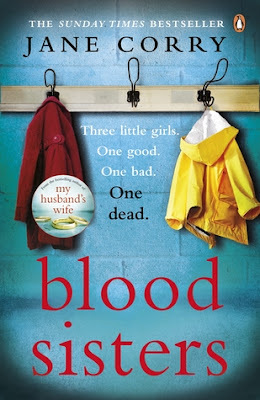 Blood Sisters is another brilliant novel from Jane Corry, author of My Husband's wife. The focus of this novel is on two sisters who couldn't be more different from each other are tied together by the events of the past. Art teacher Alison runs a number of successful courses when she sees an advert for a job in a local prison. Although it is severely outside of her comfort zone, she decides to apply for the role anyway. No one is more surprised than Alison herself when she gets the job. Kitty, lives in a care home, severely brain damaged after a tragic accident. Unable to speak or communicate clearly she regularly takes out her frustration on the other care home residents and staff. She can still think for herself, and is determined that she will one day speak again and tell everyone about the past. Alison and Kitty couldn't be any more different. This novel is told from both sisters perspectives and I think this is essential in this particular novel for really getting under the characters skin. I'll be honest, neither Alison or Kitty are particularly agreeable - for differing reasons. I found my loyalties were torn between the two of them as more twists and turns in the plot were unfolded, and by the end of the novel I really didn't like either of them. Blood Sisters isn't just about Alison and Kitty though. Is it about female relationships, family trust and revenge. If you want something predictable, this isn't the novel for you, there are so many twists and turns and the revelations keep coming right until the final chapters, which is just how I like it! Blood Sisters is now via Amazon online and all good book shops.